Provided a print and design consultation, and created a sample product. We work very closely with the Birmingham St Patrick’s Festival. This year they have contacted us as they are considering printing promotional hoodies and t-shirts to raise funds for the festival. We provided a full print and design consultation, and discussed the costs and benefits of each method of printing. We suggested using vinyl printing rather than screen printing. This means they are able to keep re-ordering in small amounts of stock, as the stock sells out, rather than holding a large amount of stock themselves. 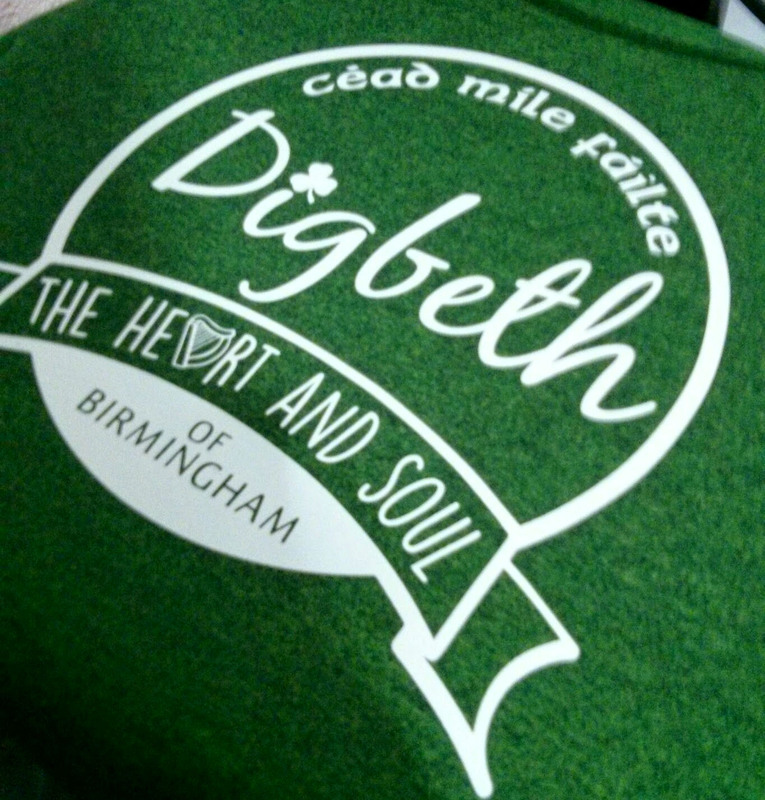 We created this Irish / Digbeth themed design, and provided a sample on a hoodie. We are hoping to work with the festival to provide an e-commerce store to sell these and other promotional garments.